June 25, 2018 [Port au Prince, Haiti] Haiti Tech Summit concludes with another successful global event. Haiti Tech Summit, founded by Forbes 30 Under 30 Entrepreneur, Mother and Wife, Christine Souffrant Ntim, is a 13- year initiative of the Global Startup Ecosystem (GSE) which brings together hundreds of entrepreneurs, investors, digital marketers and creatives together to Haiti to accelerate tech, innovation and economic development within the country. The aim is to turn Haiti into the world’s next major tech innovation hub by 2030. In 2017, Haiti hosted 100 global speakers from around the world with headline speaker Ben Horowitz. The summit generated over 83 million social media impressions, 87 global press mentions and welcomed over 500 guests for 2 historic days turning it into the region’s largest tech gathering and Haiti’s first major international global summit. The summit returned in 2018 with 100 global speakers and 750 guests with the addition of Haiti Tech Week featuring headline keynote – Jack Dorsey-founder of Twitter and Square. The President- His Excellency Jovenel Moise- provided keynotes at each summit. Hosting an event of this magnitude in Haiti not only aims to revitalize economic activity in the country but to also provide a new narrative for Haiti and emerging markets. “Haiti is not open for business. Haiti is open for disruption” Christine Ntim (Founder). To accomplish a change in narrative, the summit prides itself in generating historic media impressions each year. In 2017, the summit generated over 83 million impressions. For 2018, the event surpassed 105 million. In 2017 the summit also generated tangible immediate impact driven items for both the public and private sector. As highlighted in the 2017 Haiti Tech Summit Impact Report, Airbnb was able to close a 5 year agreement with the Ministry of Tourism, Facebook launched the country’s first internationally recognized developer community, and Google Launchpad launched an accelerator program to source and support the country’s leading startups. Furthermore, the president of Haiti announced the country’s first national incubator for entrepreneurs to be located in the nation’s capital- Port Au Prince. The incubator- Alpha Haiti- launched in the first week of June. Other local initiatives included the launch of Banj- a private incubator space and Startup Grind Port au Prince – a monthly entrepreneurship event to empower local startups. For 2018, the summit continues to spark major initiatives within the country with the recent launch of Haiti’s first Space Agency. In an effort to accelerate space tech industries in emerging markets, the Global Startup Ecosystem (GSE) has announced plans to launch a space agency with government and private sector partners in Haiti, led by SpaceChain Foundation, a decentralized space agency that aims to harness the power of the blockchain to increase access to space and accelerate outer space development and settlement. It is a set to be a historic moment for the entire region. In short, the HSA is an independent agency of Haiti responsible for the civilian space programs, aeronautics and aerospace research as well as the commercialized use of space technologies to accelerate industry development. The platinum sponsor for 2018 was the US Embassy of Port Au Prince who sponsored 25 entrepreneurs to attend the summit and receive mentorship from the program experts, speakers and partners. The summit will return on June 20-22, 2019 at Royal Decameron. 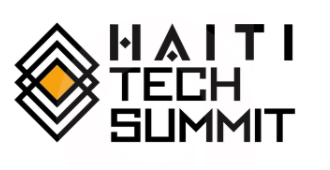 Join the Haiti Tech Summit community for news, announcements and offerings. [Port- au – Prince, Haiti- June 17, 2018] Haiti Tech Summit welcomes over 500 guests each year to discuss the future of tech, innovation and entrepreneurship. To provide simplify the experience of local participants, the summit will provide daily shuttles. Only completed registrants can view the details of the free service. June 23, 2018 Departure @ Decameron @ 6pm SHARP w/ arrival at PAP @8:00pm (location shown to Eventbrite registrations only-First come, first served). *** Please note that the summit splash networking bbq party starts at 6pm.